With 74% of Australian consumers relying on their phones at least as much as their desktops (Google and Galaxy, 2015), ignoring the power of mobile is really signing your own death sentence. So how can harness the power of mobile apps without building ‘just another app’? What will market leading mobile apps look like in the post-app era? This article was first featured in Marketing Magazine. Yes, we are entering ‘the beginning of the post-app era’. And yes, certain mobile apps like social media and ‘youtility’ might as well be dead on arrival. But you’d be stupid to ignore the data staring you in the face. Take L’Oreal’s Smart Hairbrush as the latest example. 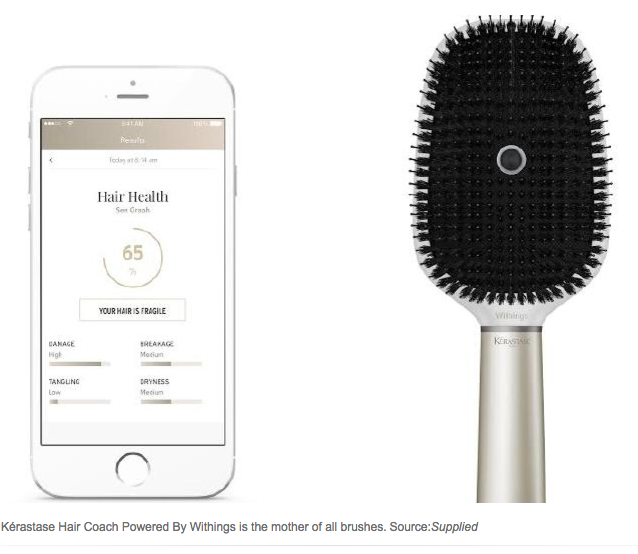 This hairbrush is giving beauty obsessed consumers insights into the health of their hair using sound sensors to detect brittle hair and conductivity sensors to measure how wet their hair is with the information delivered via a mobile app. You can read the full the article here.